Kaylee here, wishing you a happy Wednesday and hoping you are all enjoying these first few weeks of summer! Unfortunately, my summer commencement has been full of nose blowing and coughing… Yuck! 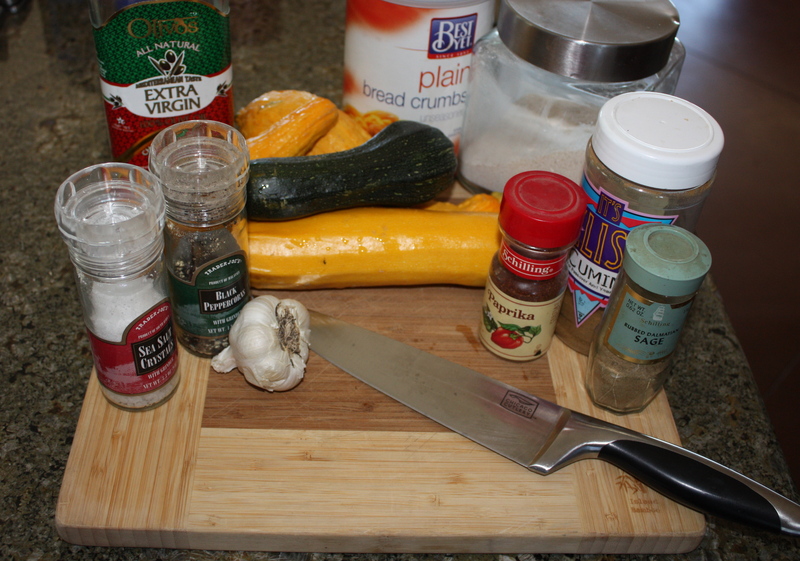 Though sick and bedridden for the last few days, I’ve still managed to get something cookin’ up in my kitchen for ya’ll. After all, who doesn’t need some comforting bites when your only friends are a fuzzy blanket, an oversized glass of orange juice, and the TV remote? My Dad went down to visit our Papa for Father’s Day this past Sunday. 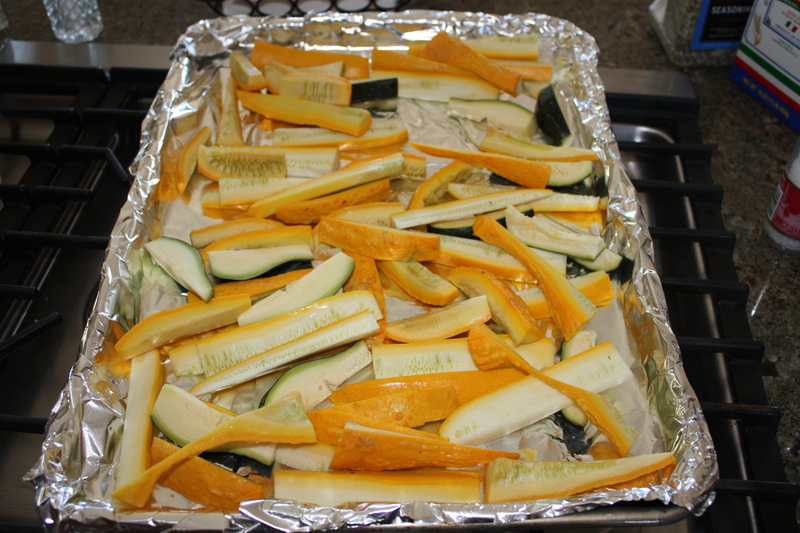 He returned with a bunch of tasty summer squash, zucchini, and eggplant homegrown from my uncle’s garden. 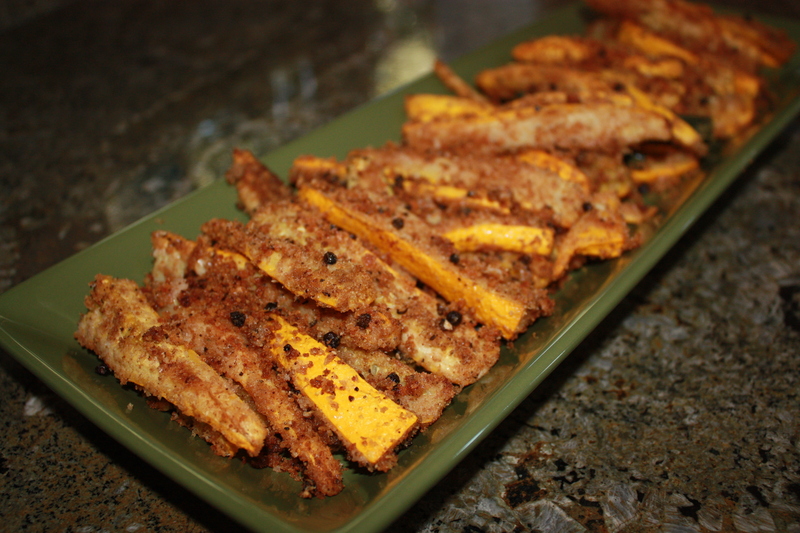 Of course, I had to whip something up! 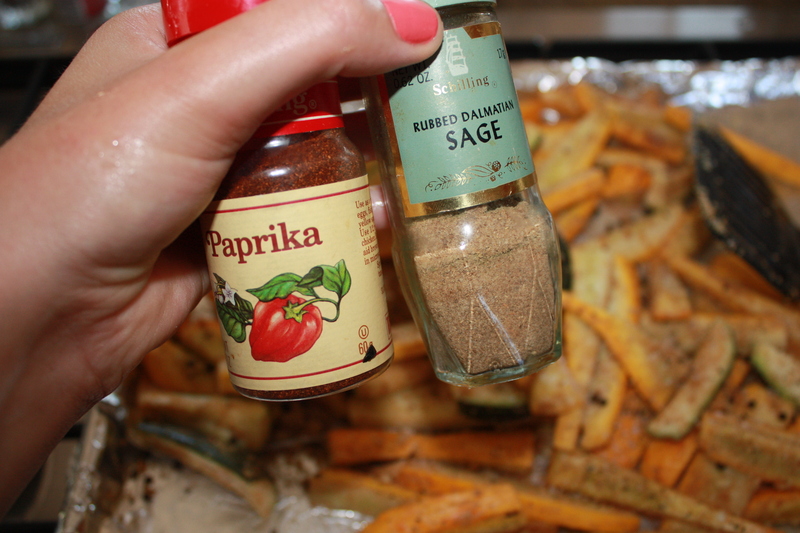 This recipe is very quick and easy and is a much healthier alternative to french fries, freedom fries, or whatever other “fries” you may order through your car window. 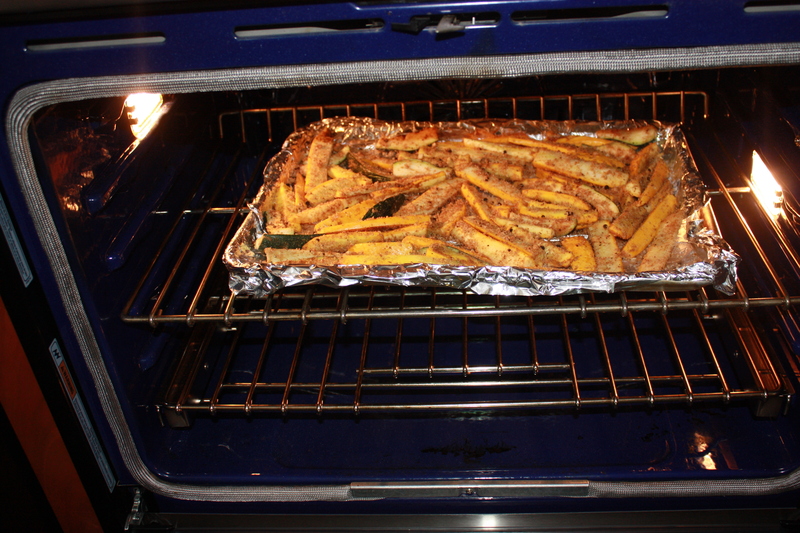 They aren’t as crispy as normal fries, but they have 100 times more flavor and are baked rather than deep fried. Feel free to play with the ingredients on this one (i.e. 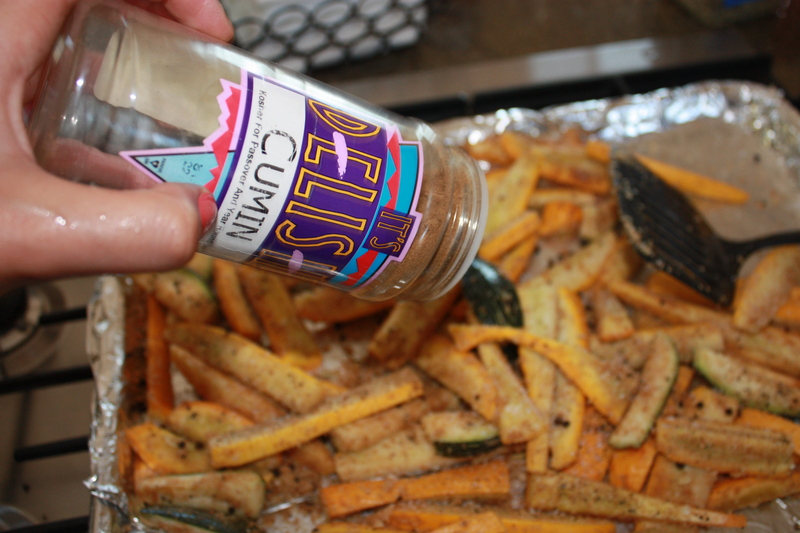 add chili flakes, oregano, fennel, or whatever other spices you like to get the flavor you want!) 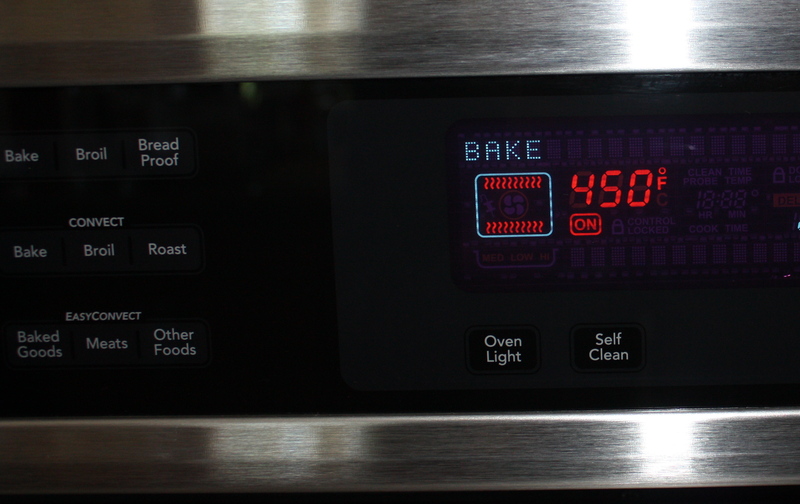 Enough chit chat, let’s get cooking! 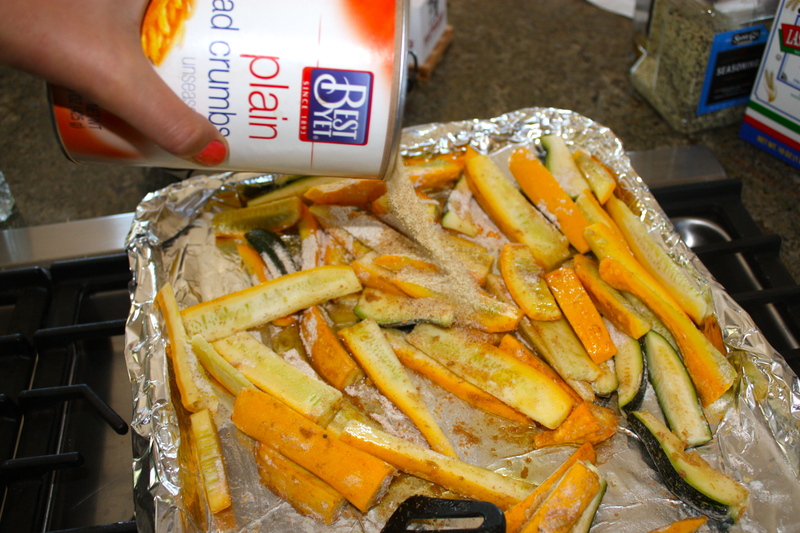 Note: you may need to add more/less bread crumbs and flour depending on how well they coat the outside of the veggies! 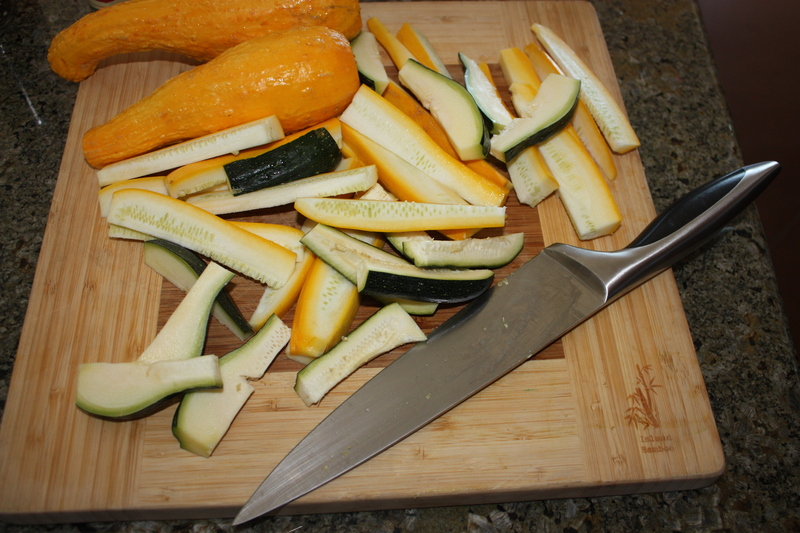 Start by halving your zucchinis and squashes, and chopping them into 1/4 inch strips so they look like wedges. 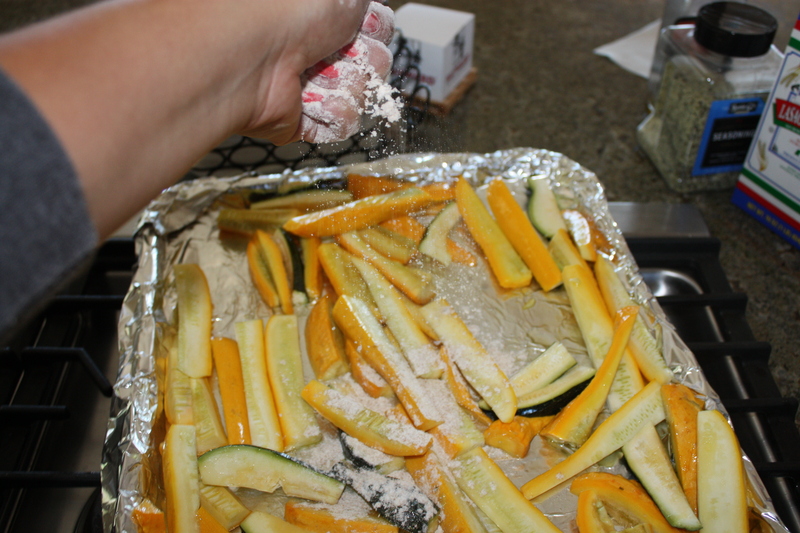 Evenly coat all of your zucchini and squash with a dust of the dry powder, and get ready to pop them in the oven! Voila! 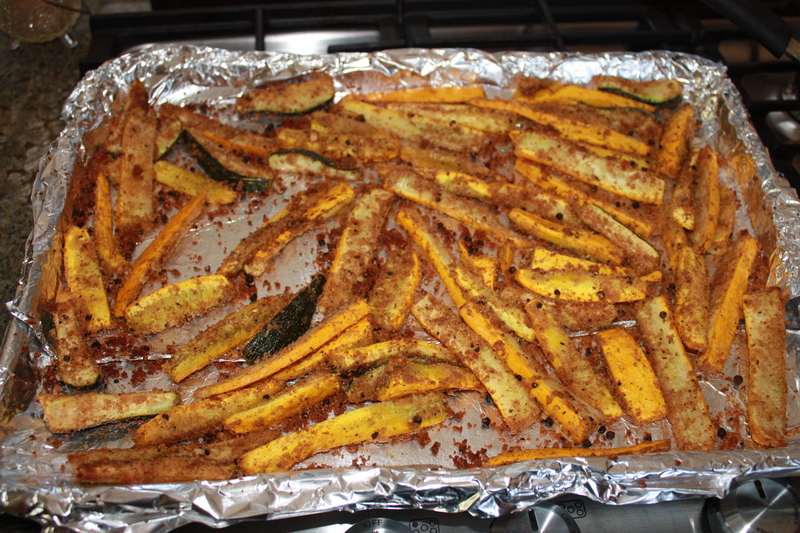 Baked summer squash and zucchini fries are ready to go. 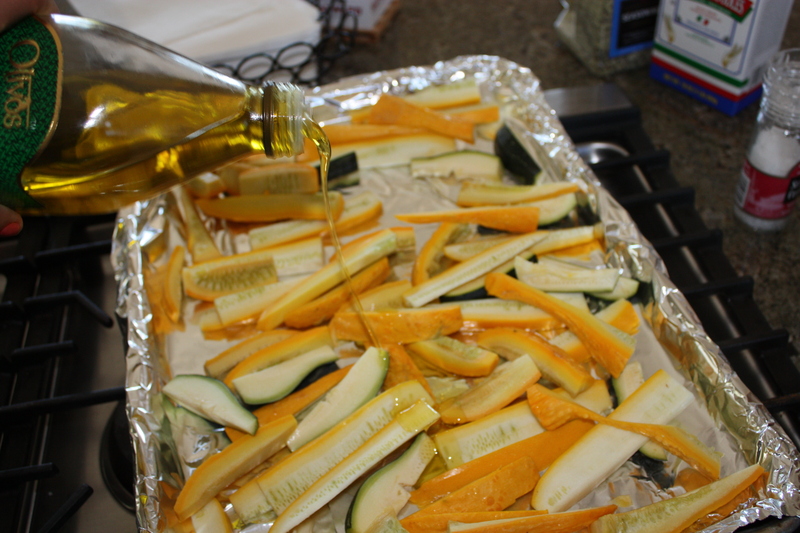 Delicious served as is, but also great with whatever other dipping sauce you may like. Enjoy Zesters!